If everyone lived like a typical Australian, we’d need about 4 Planet Earths worth of resources just to sustain our current lifestyles (link). Reduction Revolution is a business that exists to set right this imbalance. To help individuals and businesses operate in a more sustainable way. The good news is, contrary to popular wisdom, living more sustainably does not cost money. It saves individuals money and increases business profitability. At its core it is about wasting less and living better. Education – because it is an essential precursor to making informed choices and affecting real long-term changes in how things are done. Energy & resource efficiency – because eliminating wastage is, in our view, the quickest and most cost-effective path toward more sustainable living. We aim to lead by example, share your stories, and affect worthwhile change. Expert energy efficiency advice and project management. Quality product solutions including LED lighting and other energy saving devices. We welcome your feedback and input on new and existing product lines. Individuals - using our innovative time and energy saving products like the Billyboil. Businesses - upgrading their lighting to LED to reduce costs. Local government - offering sustainability workshops to their community. Strata buildings - looking to understand their energy bills with a commercial energy audit. Energy utilities - implementing programs including energy monitors and home energy audits. Trades - unlocking the potential of thermal imaging in their line of work. Managers - sourcing wholesale pricing on products or assistance with program implementation. So, how can we help you? Drop us a line. 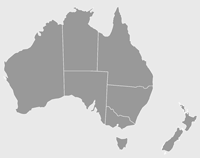 Most of our products and services are offered exclusively online (via this website) allowing us to deliver products across Australia, New Zealand, and around the world. Our head office and warehouse are located in Sydney. Reduction Revolution was established in 2010 by Ryan McCarthy, a qualified photovoltaic engineer and energy efficiency expert.